We are a family business focusing on customer service. We are conveniently located in eastern Baltimore County on 12 acres of land in White Marsh, Maryland. Our modern facility consists of 150,000 square feet of greenhouse space and over 4 acres of outdoor growing areas. 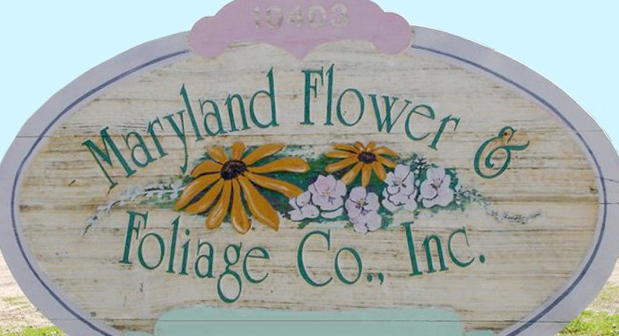 Maryland Flower & Foliage was established in 1980 with a plan to grow high quality seasonal plants. Throughout the years we have evolved into more specialized growing of annuals, perennials and fall crops. During our spring growing season we also offer a variety of palms, mandevilla, hibiscus, ferns and other tropical foliage. Our state of the art facility is open to the public. We offer a wide variety of plant material with competitive prices all the while maintaining excellent quality. We have a very knowledgeable staff available to help you make the right choices for your gardening needs. It’s our goal to offer exceptional plants straight from our greenhouses to you. We believe that when you buy local you get a product that is like no other!